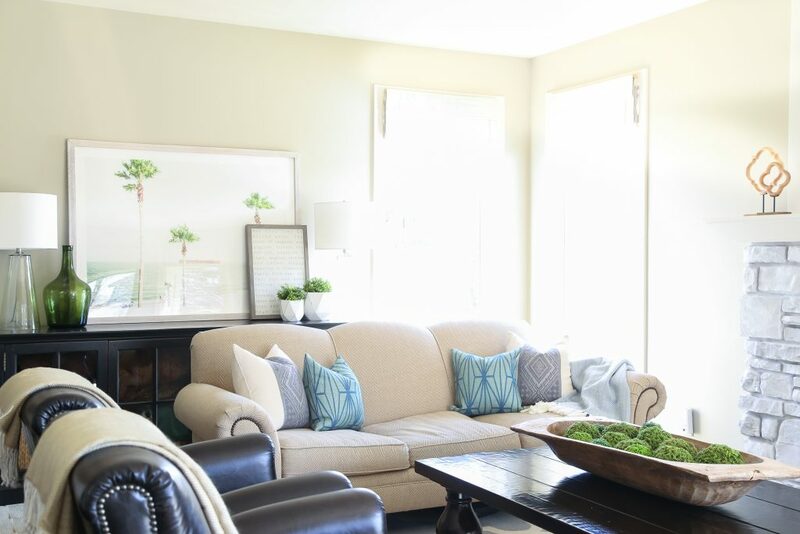 Today I’m sharing our home all dressed up for spring. 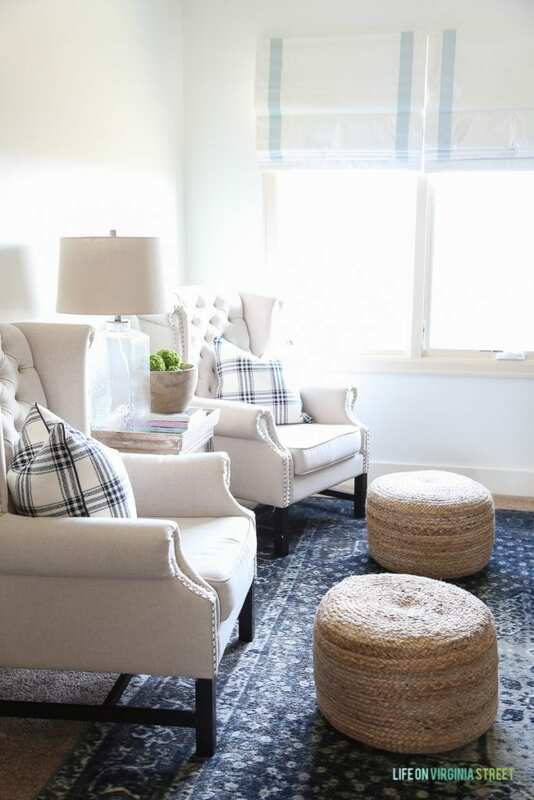 I shared some previews over the past few weeks, but today I’ve teamed up with the lovely Marty from A Stroll Thru Life, and a large group of talented bloggers to share our full spring home tour. And if you’re stopping in from It All Started With Paint, welcome! 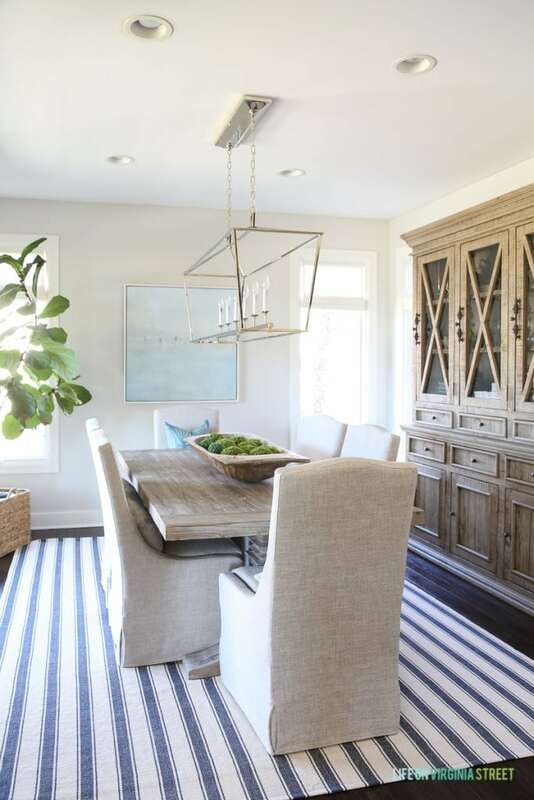 I love Linda’s home and not just because she loves blues and stripes as much as I do! This year, I opted to keep things fairly simple for spring. I made a conscious effort not to over-decorate, but rather, to simplify but still add some fresh touches for the changing season. 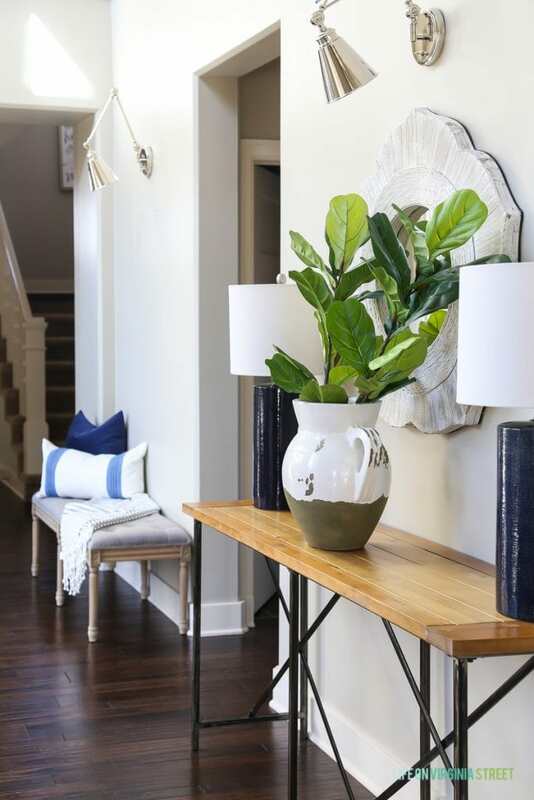 The addition of these faux fiddle leaf fig stems (I’m using two stems in this vase), these navy blue linen-like lamps, and this striped throw create such a fresh vibe in the entryway hallway for spring! 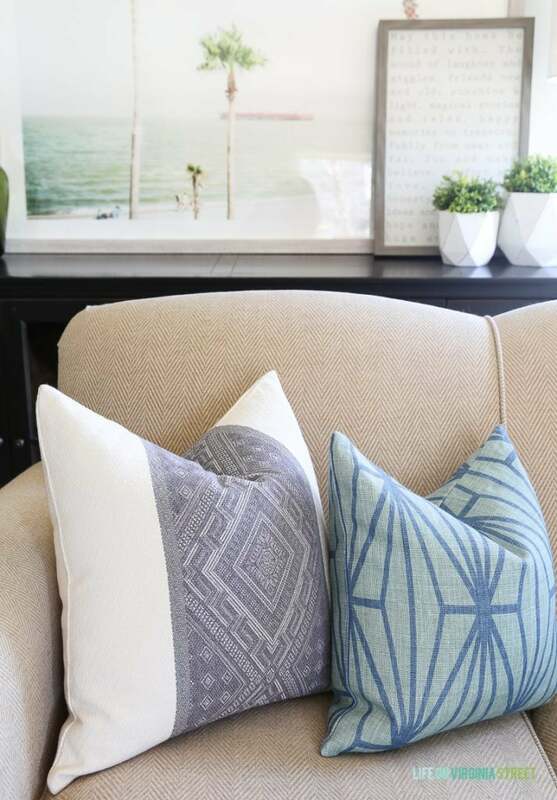 Not much has changed in our living room, but I did recently buy these pillows to add to the mix. I really love the texture and detail on them! Our dining room underwent some major changes over the winter months and I really love how it’s come together! Our new hutch is definitely a showstopper! 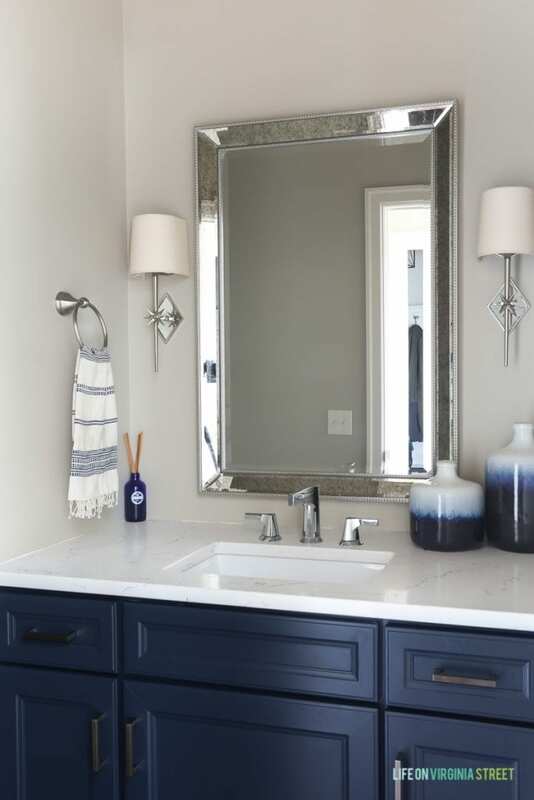 Our powder bathroom recently received a major overhaul as well (you can read more about it here) and I recently just added a few items for spring. 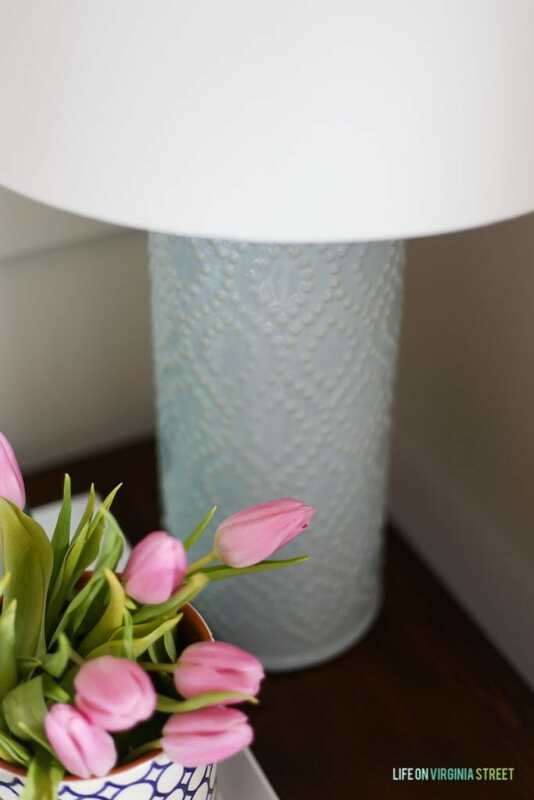 I’m loving the addition of the ombré ceramic vases and my favorite scent in diffuser format! 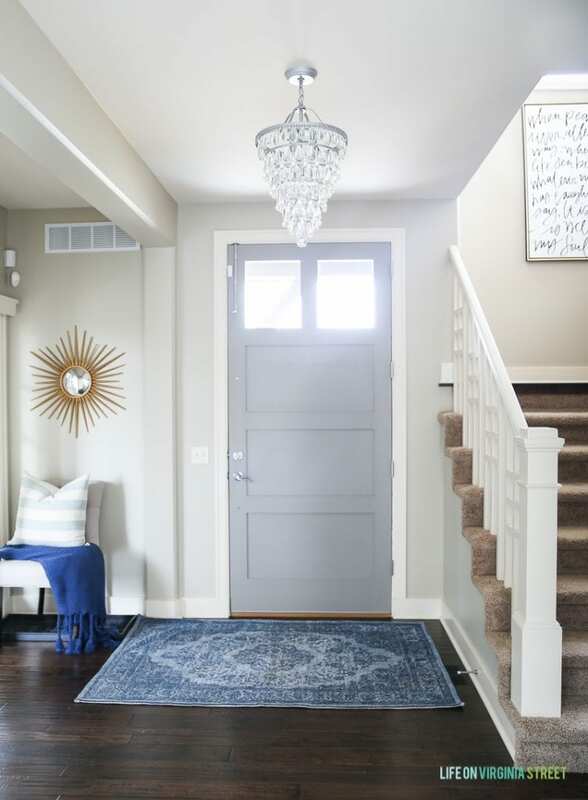 The cabinet color is Benjamin Moore Hale Navy (the same color that’s in our office) and it’s definitely a favorite! Our smaller guest bedroom got a few updates for spring, including the removal of the mirror that used to hang over the bed. I’m loving the simpler look! 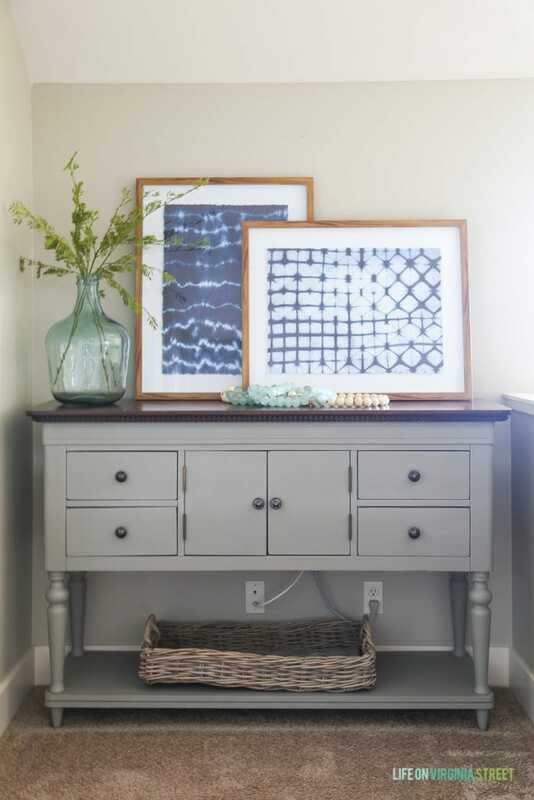 Moving in to our other guest bedroom, I didn’t make any changes for spring, other than moving my Doxology canvas here from the entryway. 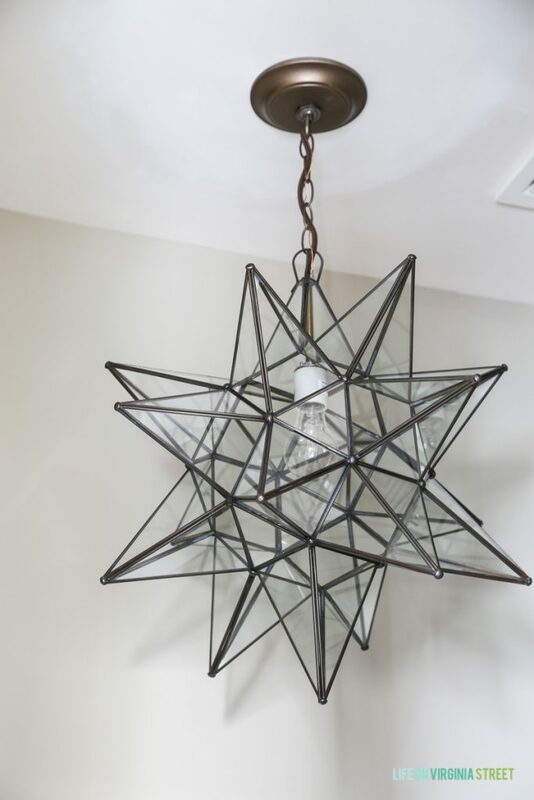 I’m still on the hunt for the perfect piece for our entryway! 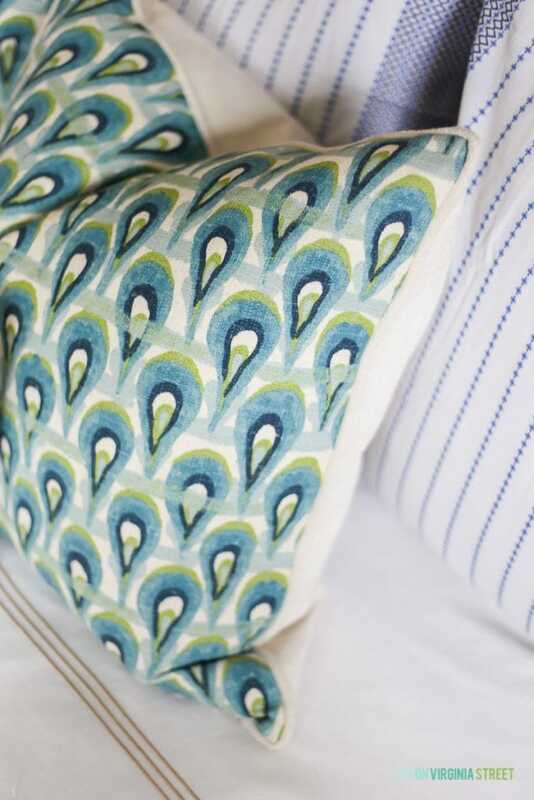 And this reversible coverlet is still a favorite! 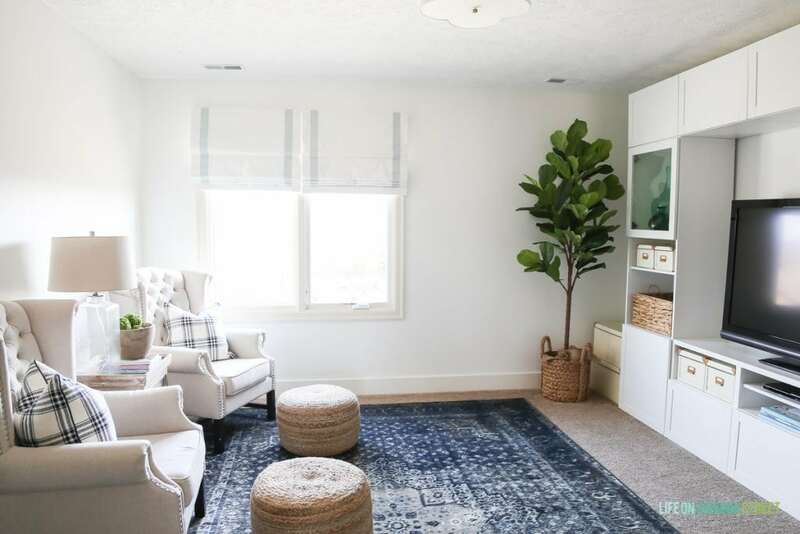 My craft room/TV room received a recent major overhaul and I still love how much the white paint (Benjamin Moore Simply White) brightens up this room! I hope you enjoyed our spring tour! Be sure to visit all the other homes on the tour! 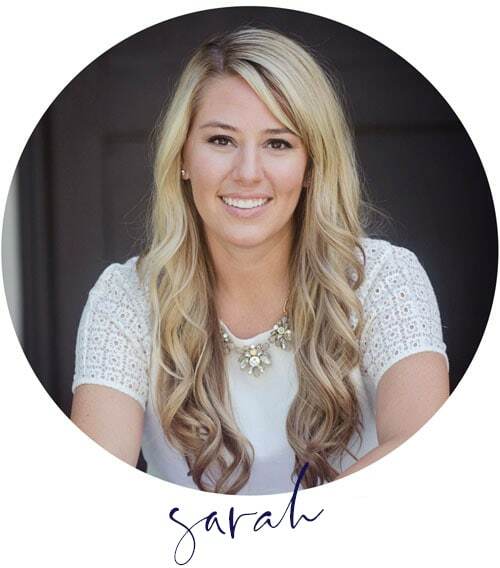 Sarah your home is the epitome of calm and serene elegance. I adore your dining area and will be featuring it later today on IG. 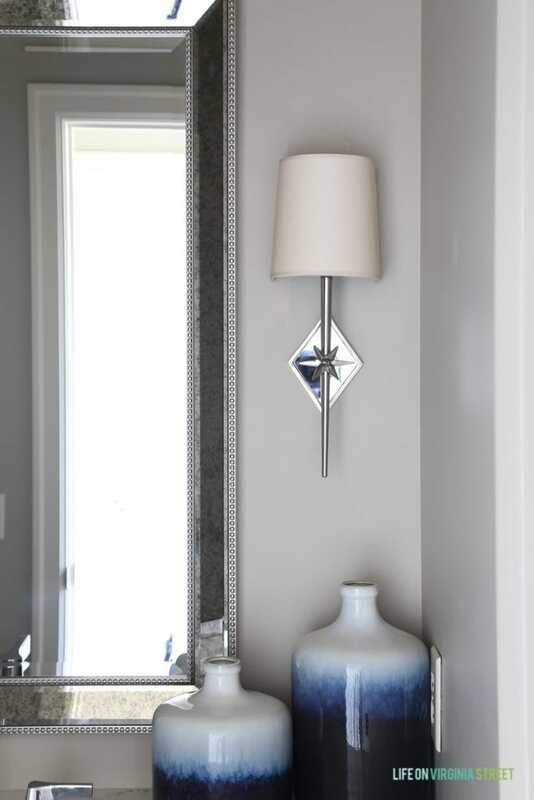 Your home is always so fresh and beautifully styled. 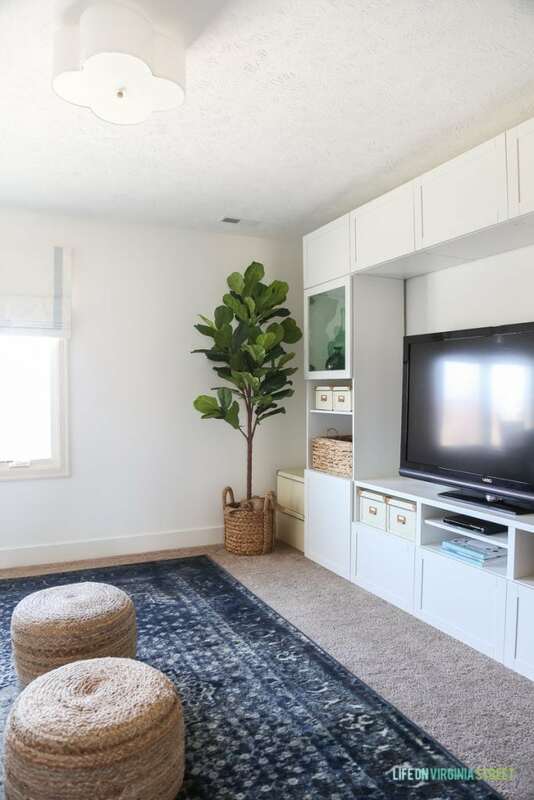 I think we have the same rug that you have in your craft room/tv room. Happy Spring. Your house is so beautiful and you always have the BEST pillows. And I was wondering how you get your sheets so wrinkle free. I was just struggling with mine yesterday. Drives me crazy! Loved your pretty tour as always. 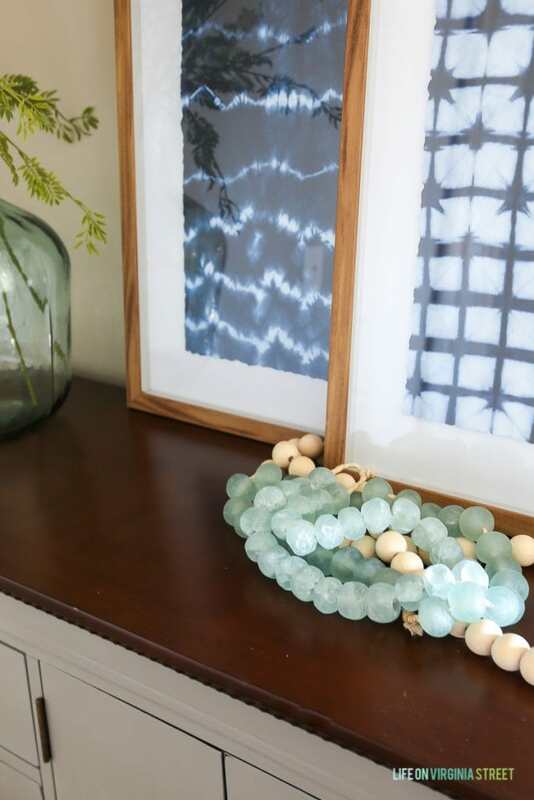 Your home is always so beautifully styled and decorated and your photos are always so crisp. 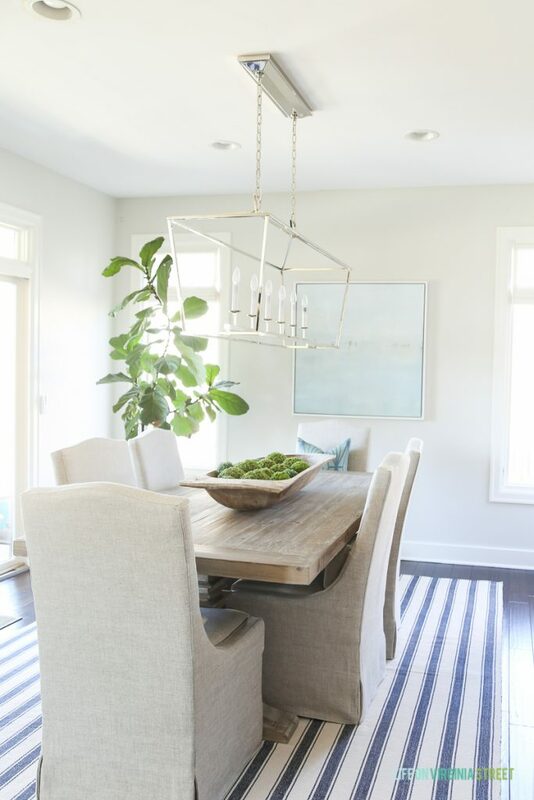 I love everything,but your dining room is definitely one of my most favorite dining rooms of all time. Thanks so much for joining the tour, it is always a treat to tour your home. 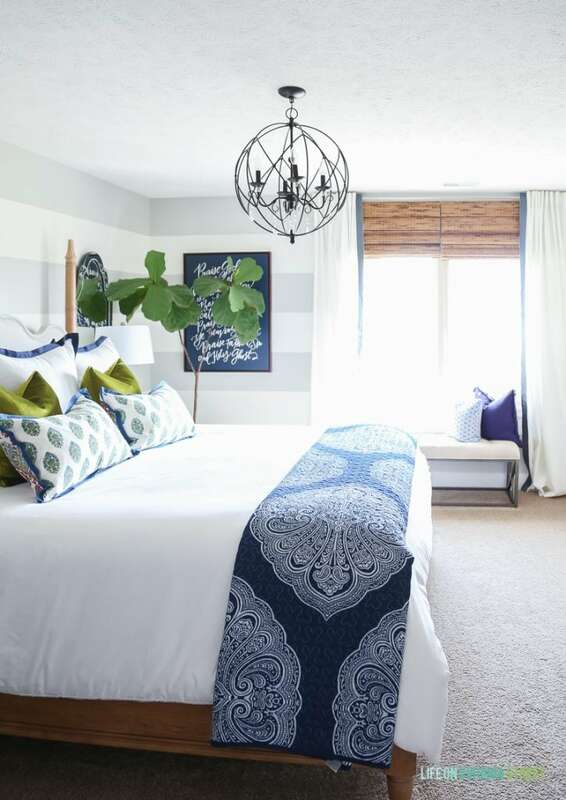 I love all the mix of blues and greens in your home Sarah! 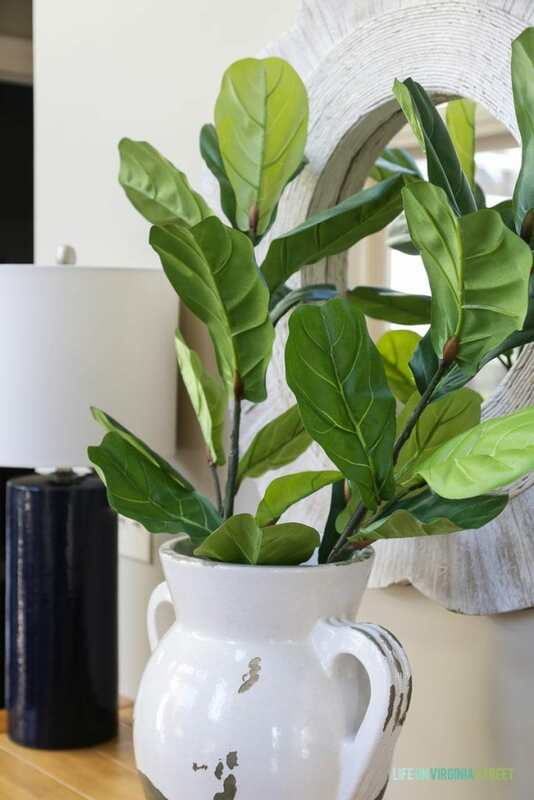 And that faux fiddle leaf looks so real, I couldnt tell if you hadn’t mentioned it! 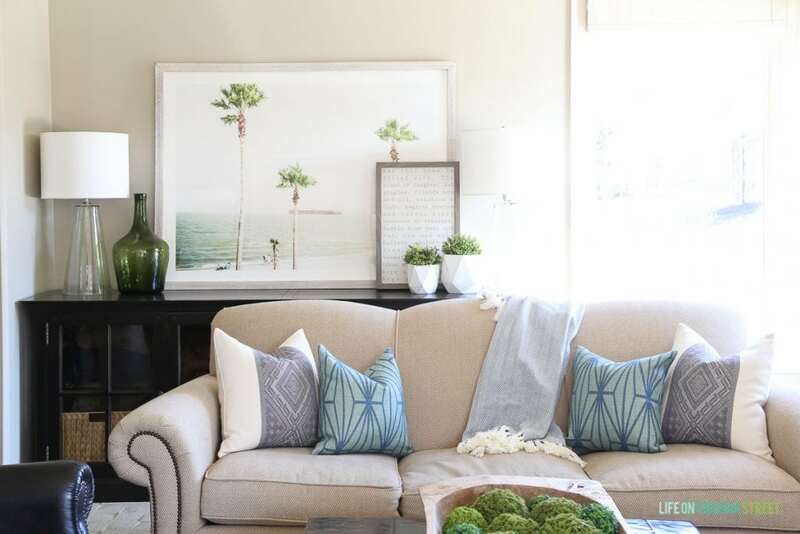 I always admire the relaxed, calming and oh-so-pretty home and style you have dear. 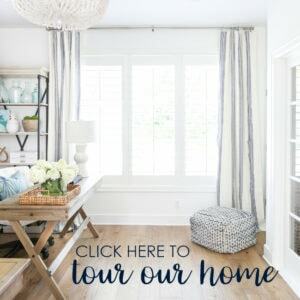 So honored to share this home tour with you! 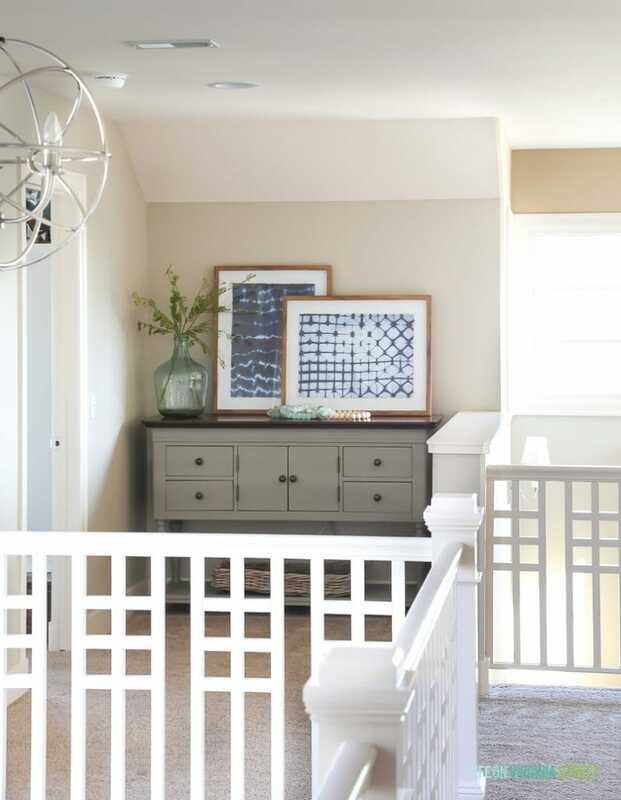 The home decor in all of your spaces creates such a stunning cohesive flow! Your home is stunning! 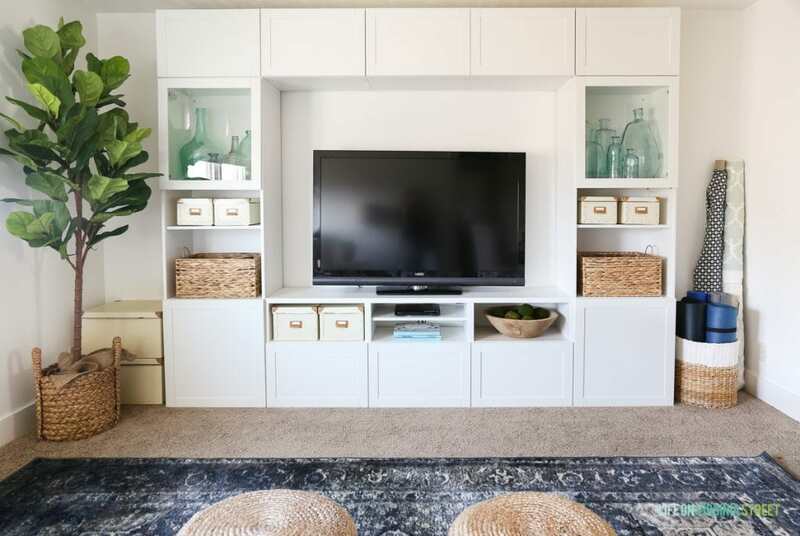 Where did you get your dark console/buffet in your living room and where did you buy the pillow inserts for those new PB pillow covers you nabbed on sale? Thank you so much! 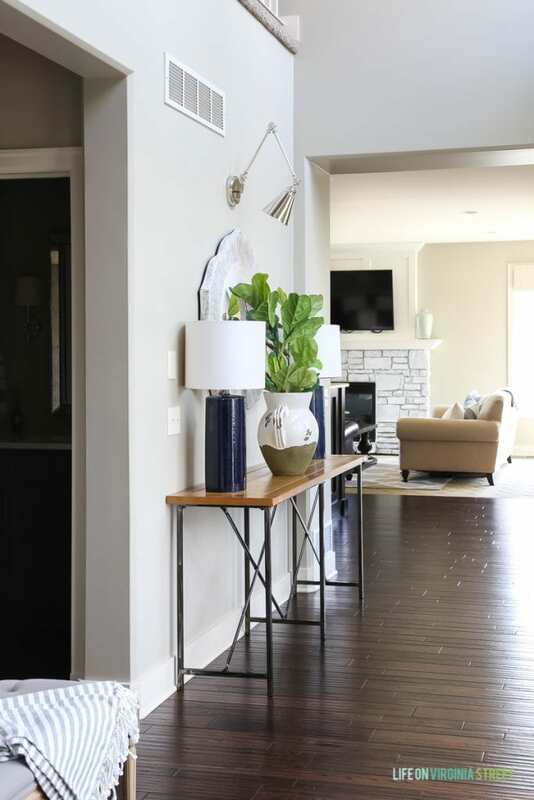 The dark console was from Nebraska Furniture Mart about five or six years ago. I get my pillow inserts from a mix of places. I do have some from Pottery Barn, but I feel like you need to use the next larger size of pillow with theirs. The ones at Crate & Barrel are great too!